Beautiful top floor apartment of 121 m2 in the prized 8th district, Triangle d'Or with lovely south facing terrace and a view of the Eiffel Tower. A perfect luminous pied a terrace in this elegant neighbourhood. - a double living room with a spacious lounge and corner dining area with large bay windows leading out to the terrace. The property has air conditioning, individual gas heating. A small cellar. 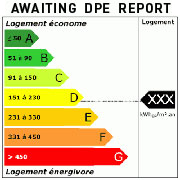 DPE E and E. 400 euros per month charges.